Crispy Sriracha Honey Chicken Wings – so tender and mouthwatering. Takes only 30 minutes to bake, and is perfect as an easy game day appetizer! 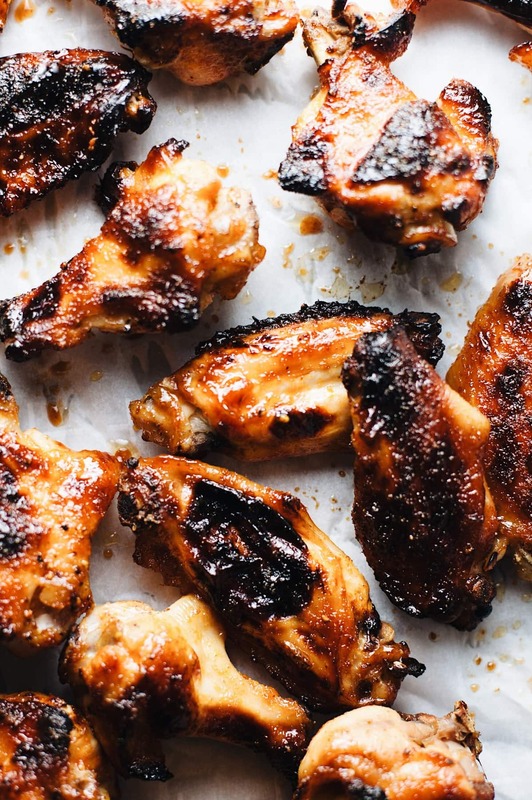 If you love a good chicken wing these Sriracha Honey Chicken Wings are the way to go. I’m not big into football, but I’m big into food. And these wings are perfect for any game day or super bowl party you have going on! Easy, flavorful, and a no fuss appetizer. Baking chicken wings is one of the easiest routes to go when making this famous game day appetizer. First, marinate chicken wings. Then lay chicken wings on sheet pan and bake at 400F for 25-28 minutes. Your chicken wings should be crispy, tender, and so yummy. Marinate the chicken wings with the sauce for 30 minutes prior to baking – this will make your chicken wings more tender and full of flavor. This step isn’t necessary, so you can skip if need be to save time – just toss and coat the chicken wings with the marinade then bake. You can use boneless chicken wings in this recipe if you prefer no bones. 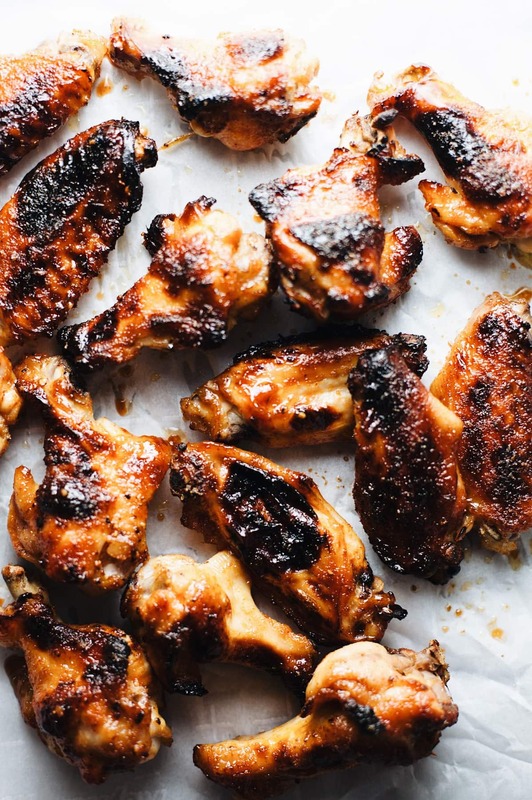 To get extra crispy skin, broil chicken wings on HIGH for 1 minute at the very end. If you enjoyed this recipe, you may also like my healthy baked chicken nuggets. 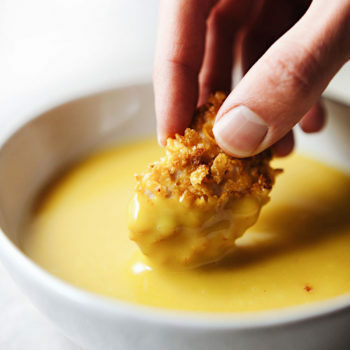 Perfect for an appetizer and so yum! Spicy but sweet and sticky chicken wings with Sriracha, honey, and garlic. 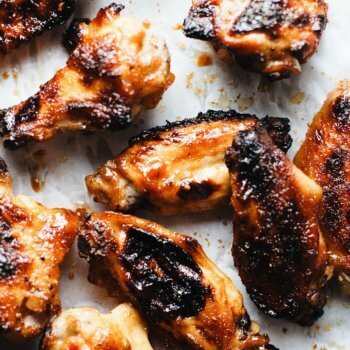 So mouthwatering and the perfect wing recipe for game night! In large bowl whisk together all of marinade ingredients. Set aside 2-3 tbsp for later in a small bowl. Fold chicken wings into marinade until completely coated. 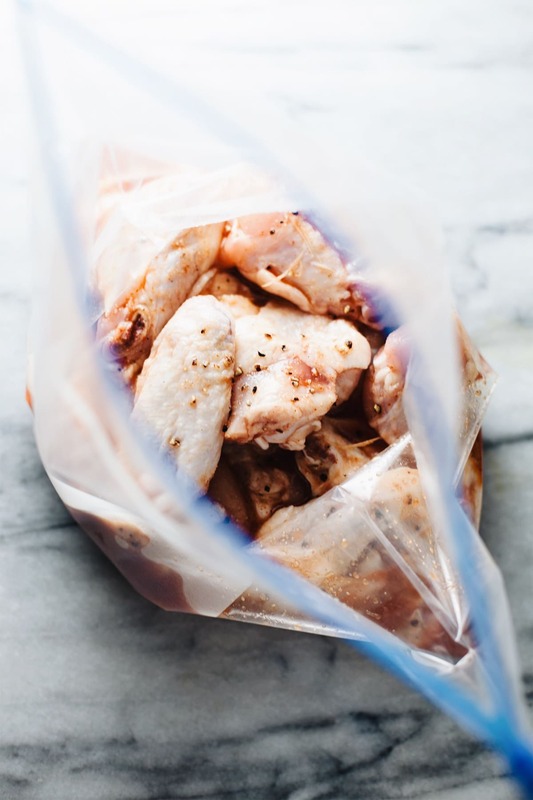 Cover with plastic wrap or place in plastic bag - let wings marinate for 30 minutes in refrigerator. Preheat oven to 400F. Lay wings evenly on a sheet pan and cook for 25-28 minutes. Brush remaining glaze over top of wings. Place back into oven for 1-2 minutes on HIGH broil or until slightly charred. Remove from oven. Serve with sour cream or blue cheese and chopped cilantro. If you prefer a "dipping sauce" I recommend for this recipe either blue cheese or sour cream. To make this recipe gluten free friendly, illuminate the 1 tbsp flour or opt for 1 tbsp gluten free flour.